MANILA, Philippines – Nine more paintings were found by sheriffs of the anti-graft court Sandiganbayan at the office of Ilocos Norte Representative Imelda R. Marcos. The works of art were listed in the writ of attachment issued on September 29 by the First Division of the Sandiganbayan. A staff member of Mrs Marcos however said they were mere copies of the originals. According to the testimony of Presidential Commission on Good Government Commissioner Ma. Ngina Teresa Chan-Gonzaga before the Sandiganbayan, Michelangelo’s Madonna and Child is the most valuable among the artworks. Said to have been acquired in July 1983 for US$3.5 million, it was paid for in 1983 in 3 installments of $1 million each and a final payment of $500,000. The final payment was made on December 27, 1983. Chan-Gonzaga’s testimony became the basis of the writs issued by the Sandiganbayan. According to the notes of Marcos aide Fe Roa Gimenez, the 4 payments were allegedly made to the wife of an Italian art dealer Mario Bellini, Adriana. Gaugin’s “Still Life with Idol” was reportedly acquired for $1,000,500, while Pissarro’s work was bought for $420,000. 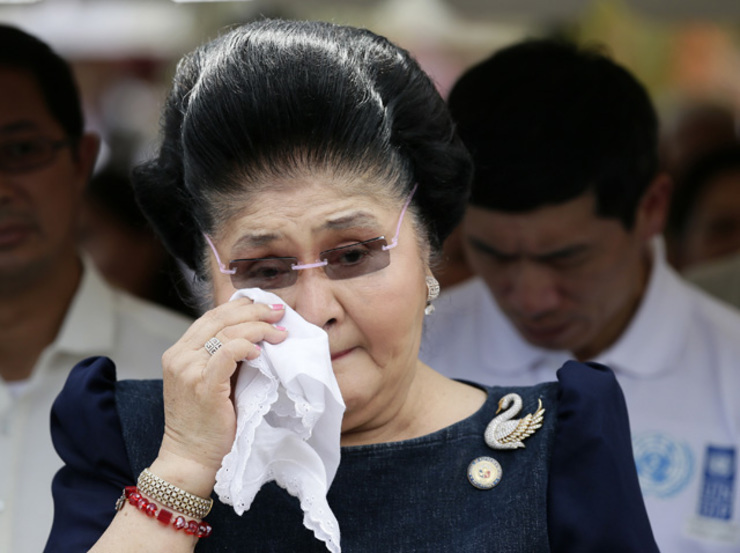 In a report dated October 9, 2014, but submitted to the Sandiganbayan October 15, 2014, court officers led by Albert dela Cruz said they were not allowed by the congressional staff of Marcos to bring the paintings. They were told that clearance from the House Speaker was needed and that Congress was in recess. Nevertheless, in the presence of the House legal officer and with the help of the Office of the Solicitor General and PCGG representatitves, Sheriff Romulo Barrozo placed the 9 paintings under custodia legis by signing the back of each one and serving a duplicate copy of the writ on Filadelfo “Bebot” Diaz, chief of staff of Marcos. This serves notice that the paintings were already effectively covered by the order of attachment and cannot be transferred without the approval of the Sandiganbayan First Division. The PCGG, according to Chan-Gonzaga, is still trying to trace the whereabouts of 156 paintings that were reportedly acquired by the Marcoses when the dictator was still in power. Last September 30, court sheriffs seized 15 artworks from the Marcos residence on Don Mariano Marcos Street corner P. Guevarra Street in San Juan City. The 15 paintings, which included 3 pieces of Madonna and Child by Michelangelo Buenarroti, were brought to the cash department of the Bangko Sentral ng Pilipinas for preservation and safekeeping. 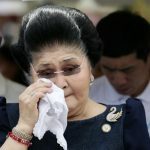 The Marcoses have argued that the court does not have basis to confiscate the paintings since the case upon which the forfeiture order was based had already been terminated.